There was an outpouring of sympathy and support throughout the community following the June 12 massacre at the gay nightclub Pulse in Orlando, Fla., where 49 were killed and 53 wounded. 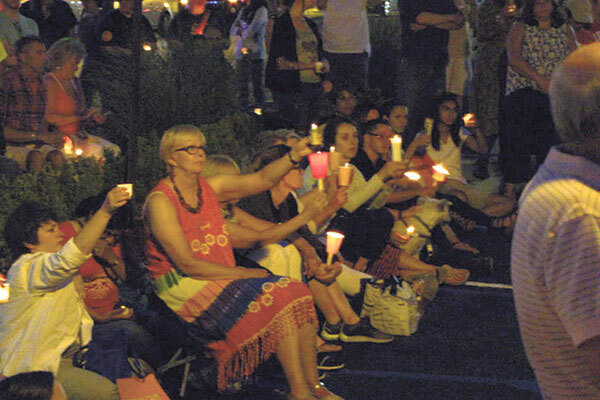 Dozens of area residents gathered June 15 for a candlelight vigil in Red Bank in memory of the victims (top photo); speakers included Rabbi Marc Kline of the Monmouth Reform Temple in Tinton Falls and Rabbi Melinda Panken of Temple Shaari Emeth in Manalapan. Community members of all faiths gathered June 21 at Temple Shaari Emeth in Manalapan to honor and pay tribute to those killed in the attack.